A critical hit, the film has won numerous awards, including the U.S. Documentary Special Jury Award for Breakthrough Filmmaking at the 2018 Sundance Film Festival, the Top Audience Pick: World Showcase Program at the 2018 Hot Docs Film Festival and the prize for Best First Time Director at the 2018 Critics’ Choice Documentary Awards. It is a nominee for Best Documentary at the 2019 Film Independent Spirit Awards and received seven bids for the 2019 Cinema Eye Honors, matching the record for the showcase. Skateboarding is a central thread throughout the film. 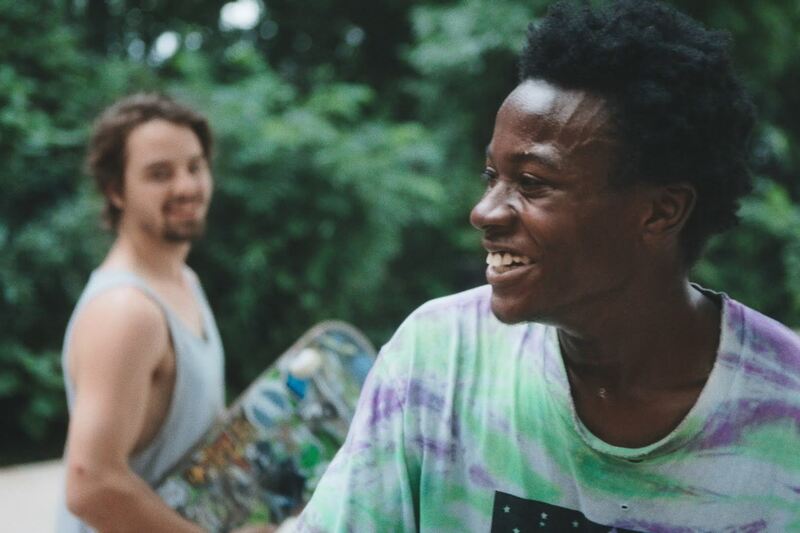 Accompanying the group on extensive high-speed rides, we begin to see how skateboarding is not just something to do, but a shared activity that is deeply meditative and therapeutic for each of them. Trying new tricks, encouraging each other and spending time together, they form a bond much stronger than the mere term “friend” indicates. Skateboarding is their escape.